An elderly Kashmiri gentleman called Hidayat (Rajit Kapur) travels back and forth between India and Pakistan under the pretext of business dealings, when actually he is serving as a double agent between both countries. His friend in Pakistan, Brigadier Syed (Shishir Sharma), is convinced that Hidayat is spying on India for Pakistan. The truth is the exact opposite: Hidayat is a loyal lieutenant of India’s Intelligence services and, as it happens, the son of a freedom fighter. As his life nears its end, he wants to ensure that his mission is not disrupted at this delicate juncture – the year is 1971, when India-Pakistan tensions are running high in the midst of the liberation war in East Pakistan, now Bangladesh. It dawns on Hidayat that continuity can come if his daughter Sehmat (Alia Bhatt) marries the Brigadier’s son. The catch is that she is a mere teenager – a college student in Delhi University – and untrained, and there is no telling whether she will go along with her father’s plan. She does. In short, she is raazi (willing). And soon enough she is the bride of Major Iqbal Syed and a resident of the Syed family home in Pakistan through which passes crucial national security documents and senior members of the country’s defence forces. Given the circumstances, you know your heart is at risk, even if Sehmat’s is made of stone, when it turns out that Iqbal is played by Vicky Kaushal. Unless his character is decidedly villainous, this is an actor who has the ability to reach into your ribcage, rip your heart out and tear it to shreds. 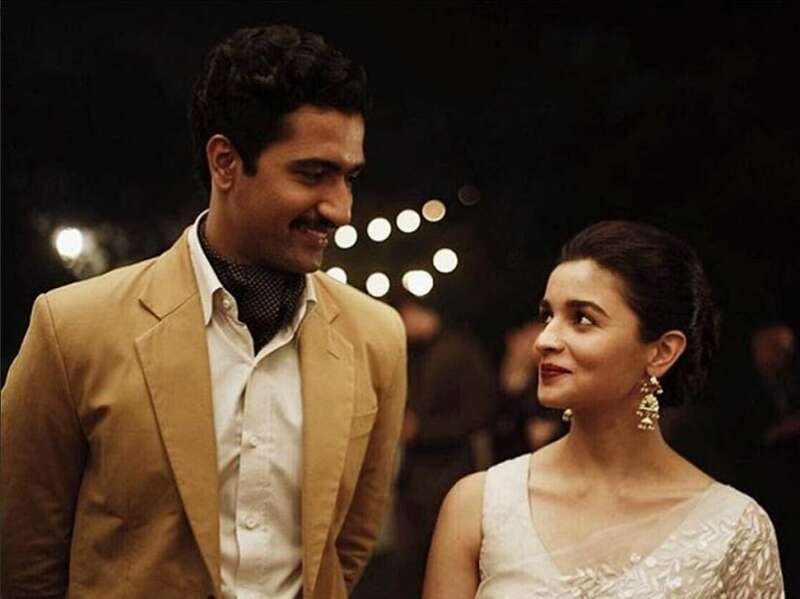 Watch Raazi to find out if that is indeed the effect Iqbal has on the viewer, but I can tell you already that that is precisely what the film as a whole achieves. Meghna Gulzar’s latest directorial venture, based on Harinder S Sikka’s novel Calling Sehmat, is a heart-stopping, heartbreaking espionage drama the beauty of which lies in the fact that, in the era of chest-thumping nationalism and hate-mongering that we live in, this India-Pakistan saga holds out an unexpected healing touch. “In a war, nothing else matters but the war. Not you, not I, just the war,” a significant character in Raazi tells Sehmat. 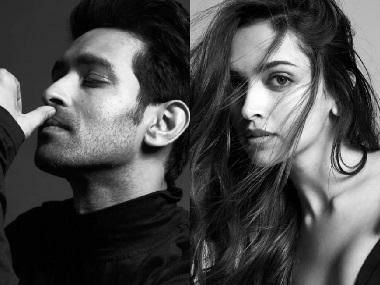 Although this is the premise on which the establishment operates on both sides of the border, the film’s overriding theme is the human cost of war. And so it compels us to ask uncomfortable questions. Are undercover agents callous or dutiful? Does a father have a right to sacrifice his daughter’s future at the altar of a nation’s safety and survival? And above all else: If there is pain on both sides of the divide, then who is benefiting from this confrontation and why, in the name of all that is logical, are we fighting? This is the kind of story that conventional Bollywood would drench in bombast, condescending clichés about the ‘good Muslim’ and “aisa nahin ki unke sab log bure hai” (it is not as if all ‘their’ people are bad) sort of dialogues. If you have seen Meghna Gulzar’s Talvar (2015), you know of course that she is anything but conventional. Raazi’s screenplay by Bhavani Iyer and Ms Gulzar, with dialogues by the latter, is a political tightrope walk that never lets up. Sure there is a line about the watan/mulq (country) being above all else repeated by more than one actor, but it is woven so smoothly into the larger picture and delivered so naturally by the actors in question, that it serves its purpose without trumpets blowing or bugles calling. Even a line from Hidayat about how Sehmat is a Hindustani first and then his daughter passes muster, although it is the closest the film comes to bowing to Bollywood traditions in these matters. So yes of course, there is a – necessary – point being made about the patriotism of a Muslim Indian citizen from insurgency-ridden Jammu & Kashmir, but by not spelling it out or emphasising her Kashmiri Muslim identity, Team Raazi delivers the gentlest of slaps in the face of Islamophobes and advocates of hatred who dominate the current national political discourse. Raazi says so much else without feeling the need to say it. Its feminism, for one, goes beyond the obvious fact that it is a woman-centric film. In the emotionally wrenching number 'Dilbaro', with music by Shankar Ehsaan Loy and lyrics by the legendary Gulzar, a daughter sings, “Fasle jo kati jaaye, ugti nahin hai / betiyaan jo byaahi jaaye, mudti nahin hai (when a daughter is married off she does not look back) / Aisi bidaai ho toh / Lambi judaai ho toh / Dehleez dard ki bhi paar kara de.” Note the irony of those words, coming as they do during the wedding of a girl who, far from conforming to the social norm of turning her back on the house she leaves for marriage, proves to be one of her home country’s most invaluable assets. As much as it is a poignant story of human relations, Raazi is a suspense thriller so tautly executed that I could feel knots of fear in my chest for several hours after I had stepped out of the hall. The unrelenting parade of risks and twists owes as much to Meghna’s conviction as to Nitin Baid’s brisk editing, Kunal Sharma’s intelligently crafted sound design and the nerve-wracking background score by Shankar Ehsaan Loy and Tubby. A further boatload of kudos to the music directors for imbuing a Pakistani patriotic anthem with emotional resonance for Indian viewers. 'Ae Watan' – written by Gulzar and incorporating lines from Allama Iqbal’s 'Lab Pe Aati Hai Dua (not mentioned in the credits, but in the Making of 'Ae Watan' video) – is beautifully sung by Sunidhi Chauhan and the Shankar Mahadevan Academy children’s chorus. It marks a turning point in Sehmat’s effort to win over the people in her new life. Jay I Patel’s camerawork is intrinsic to the nervous edge that is a constant in the narrative. He seems to shadow Sehmat rather than shoot Bhatt, and is particularly responsible for underlining heightened stress levels in a scene involving a chase down a lonely street. The lynchpin of this enterprise is Bhatt’s stupendous performance as Sehmat, with the young star once again displaying the maturity and confidence of a veteran on camera. She is as convincing wielding a gun as she is crying her heart out at the betrayal that is unavoidable in the task she has taken on. By mining his innocent persona, the astonishingly versatile Kaushal becomes a perfect match for the baby doll looks that Bhatt uses to carefully camouflage her character’s iron will. In his Iqbal Syed there is not a trace of the serial killer he became for Anurag Kashyap’s Raman Raghav 2.0 in 2016. The supporting cast is a roll call of strong artists. As Sehmat’s trainer, Jaideep Ahlawat of Gangs of Wasseypur (2012) gets a role worthy of his talent after a gap. Ashwath Bhatt as Sehmat’s brother-in-law is remarkable in a smaller part. 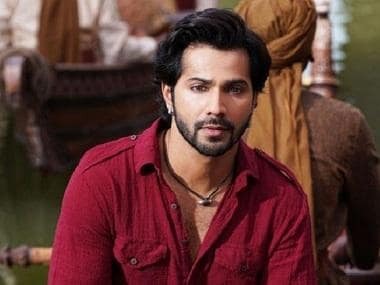 (Spoiler ahead) With all its achievements, the film does slip up in one important aspect of Sehmat’s operations in Pakistan. For a girl who displays instincts that belie her lack of experience, her decision to do so much of her work by a curtainless window is surprisingly amateurish. I realise that in traditional and country homes in the subcontinent, bathrooms with glass and uncovered windows are not uncommon – our ancestors and rural folk seem/seemed to place an inordinate amount of trust in human decency that our species has not necessarily justified – but it struck me as a glaring loophole that such a bright girl would commit such an error. The only reason why I am prefacing this paragraph with a spoiler alert is that I do not want to ruin the experience for viewers who may not agree or may not notice what I believe is a gaffe. The information Sehmat conveys to her bosses in India is related to Pakistan’s planned attack on the Indian naval vessel INS Vikrant during the 1971 war, which was the subject of the 2017 Tollywood film Ghazi (Telugu), also made in Hindi as The Ghazi Attack. That film was primarily a defence forces procedural. 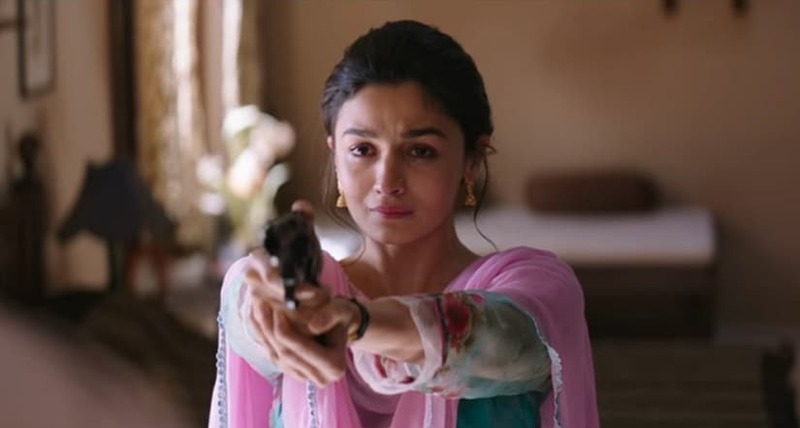 Raazi, on the other hand, is an espionage venture with heart and soul tempering its gritty core. Even as it kept me on the edge of my seat for its entire 140 minutes, it broke my heart.